Heatlie Gas Hot Box Warming Oven. Comes with a full 9.0kg gas bottle for the use with it. 12 rack capacity (8 supplied with item). 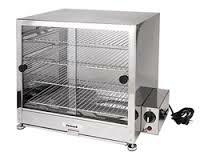 The pie warmer is stainless steel with 4 shelves and glass doors, it has a capacity of 100 pies ie. the size of pie that you buy from the footy. The 3 Bay Bain Marie operates both wet and dry having the heated water reservoir at the bottom and the heat lamps over head, it has glass sides and front which are need to meet health regulations at public events. The 3 bay bain marie requires standard 10amp power and is the largest bain marie you can run on 10amp power. The electric chaffing dish works the same as a wet bain marie and is much better than the old style (fuel burner or candle type chaffing dishes) as the electric chaffing dish provides even heat across the whole pan, it comes with a lid to cover your food when your not serving. 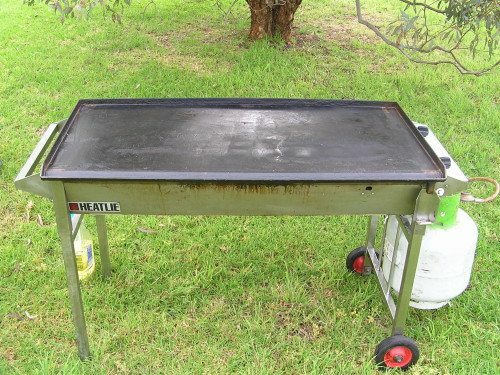 The Heatlie Hot Plate BBQ is what the pros use weather your cooking up 100s of snags or catering for the Christmas party these bbq’s get the job done. It comes complete with a trolley for easy moving and a full 9.0kg gas bottle to use with it. The Heatlie BBQ is what the pros use weather your cooking up 100s of snags or catering for the Christmas party these bbq’s get the job done. It comes complete with a trolley for easy moving and a full 9.0kg gas bottle for the use with it. There’s nothing better than freshly cooked meat from the spit. Whether you cook gyros, beef, lamb, chicken, pork, or a full animal like a suckling pig or whole lamb a spit is the best way to cook it. 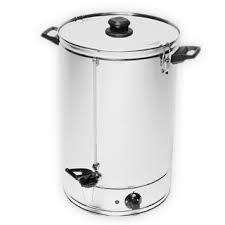 Just let us know what your cooking and we will supply you with the right fittings. All you need is your meat and fuel source ie. heat beads or charcoal. 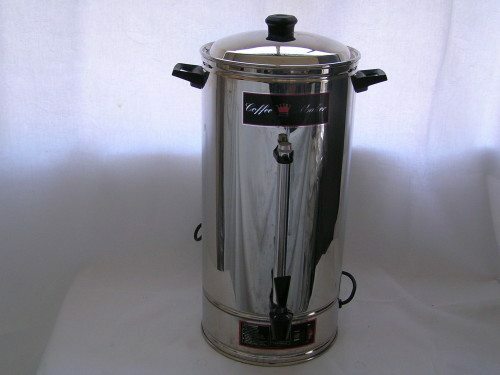 Hands down the easiest way to provide self serve tea and coffee just fill it up and turn it on, and in no time your up and running. Don’t want to serve instant coffee? This is the answer just fill with water add your ground coffee to the basket and within about an hour you have perfectly brewed coffee ready to go. Has an oil capacity of 5 litres for each basket and requires 2 x standard 10amp outlets. For all your catering equipment hire needs, contact us today. We have a wide range of food warmers for hire, such as bain maries, pie warmers, hot dog machines, hot plates, urns and so much more. Get all your party equipment hire needs sorted in one place, at Instant Party Hire.